Ghanaian actress, Rosemond Brown, has described Pope Skinny as a wack rapper. According to her, D-Black even raps better than him. Rosemond Brown made this known when she spoke with Zionfelix on the ‘Celebrity Ride Show’. When asked to choose the wack rapper among D-Black, Captain Planet and Pope Skinny, she hurriedly mentioned Pope Skinny. 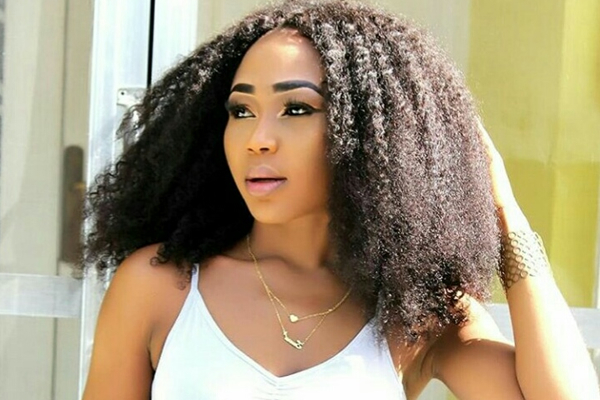 Rosemond, otherwise known as Akuapem Poloo explained that is a wack rapper because he (Pope Skinny) usually talks and says things he is not sure. “…that makes him wack. He talks; he says things he is not really sure of. He just talks…” the controversial actress stated. Rosemond Brown also admitted that she is also wack because sometimes she says things she was not sure about. However, Pope Skinny believes he is one of the best rappers in Ghana.